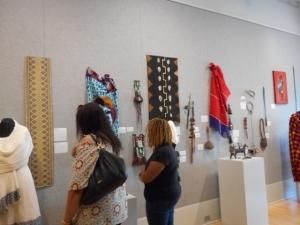 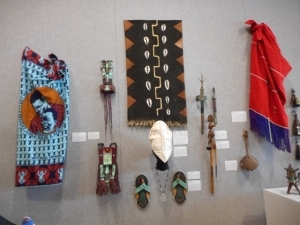 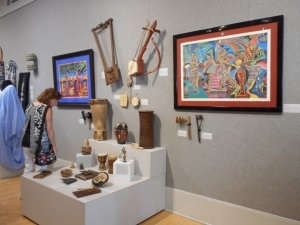 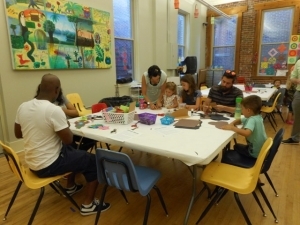 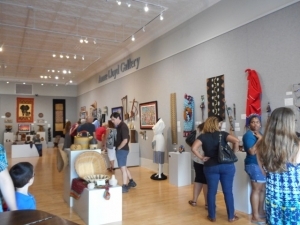 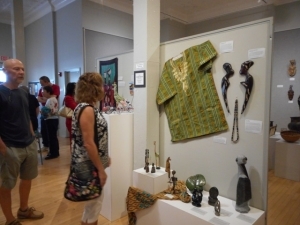 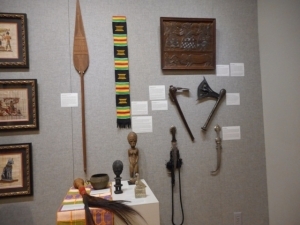 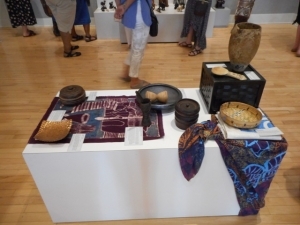 June 1 – Patrons among large crowd on hand Madden Arts Center on Friday got to immerse themselves in a wide range of African culture, ranging from displays to cuisine to performance. 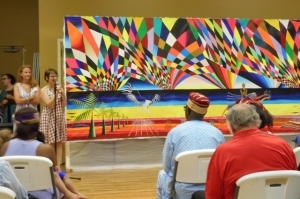 “We’re talking about an African exhibit and Decatur isn’t the usual town that you’d think about; you think about places like Chicago or New York City where I have had several shows in the past,” said Ibiyinka Alao, a Nigerian ambassador of art who was the Decatur Area Arts Council’s special guest at the opening cultural event for this year’s International Arts Experience focusing on Africa. 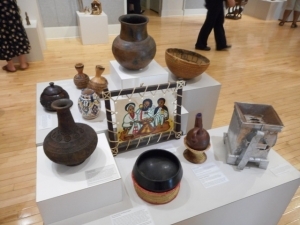 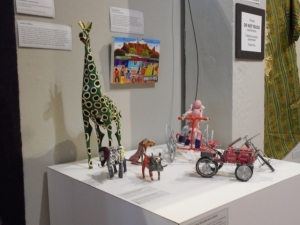 Gallery director Sue Powell said the exhibit features more than 300 pieces from 23 countries, with pieces loaned mostly from private sources apart from some artifacts from educational museums at the University of Illinois. 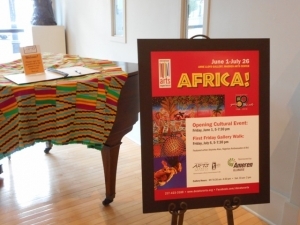 Powell admitted the choice of Africa as this year’s theme is a large undertaking. 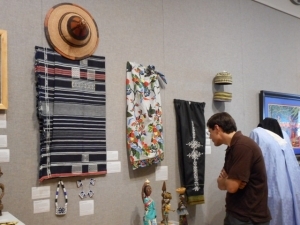 “I usually just do one country, one culture so biting off a whole continent was huge. 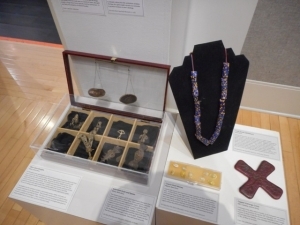 But I’ve wanted to do it for a long time because of the richness of really ancient all the way through to contemporary culture,” she said. 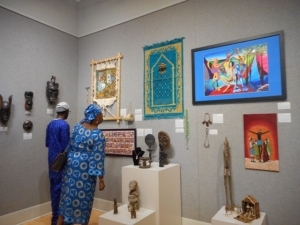 Alao was impressed at the way the gallery is arranged. 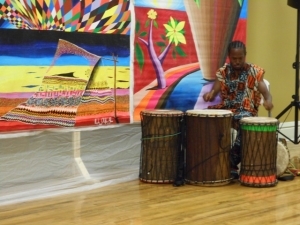 After guests got to sample some authentic African food, Alao was joined by acclaimed West African dance and drum group Afriky Lolo for the performance of a “dance drama” with one of Alao’s paintings serving as a backdrop. 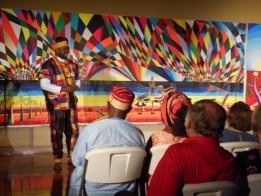 “Dance drama is something that’s very popular in West Africa. 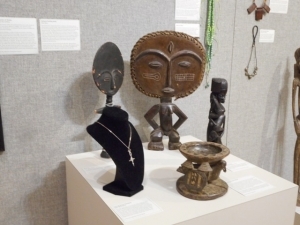 It’s a process where dancers kind of demonstrate the story of a painting or of a sculpture so they become the living component,” said Alao. 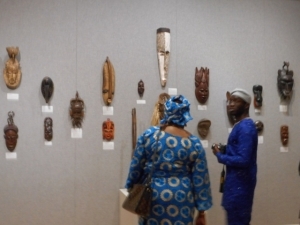 The event also included an opportunity for people do get some hands-on crafts experience making African art such as masks, huts and figures. 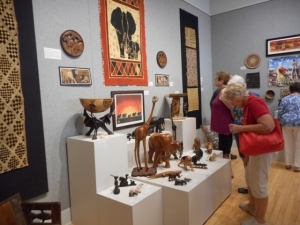 The Africa exhibit runs through July 28. 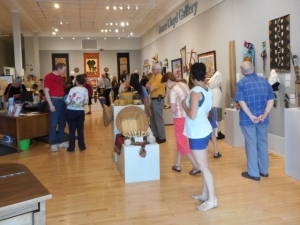 The gallery is open weekdays from 8:30 a.m.-4:30 p.m. and from 10 a.m.-2 p.m. on Saturdays.